You can clean and seal granite in hotels, high traffic areas, and public spaces with professional results. In fact, these areas require treatment such as granite sealing to protect granite and natural stone tops from staining. 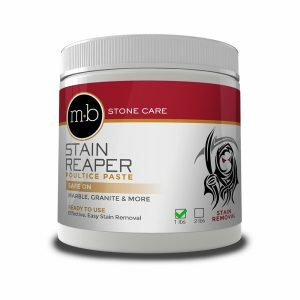 Perform granite sealing in house with professional granite care products formulated to protect granite, marble, and other natural stone, even in areas with the highest use. Here’s what you should know about sealing granite and how to determine if your granite tops are currently protected. Then check out instructions on how to properly seal granite countertops yourself. Also, with a higher incidence of stains on furniture in public areas, consider sealing your stone table tops as well. Many granite contractors, even in commercial spaces, choose to use low quality silicon or siloxane-based granite sealers (actually, granite sealing may have been skipped altogether). Silicon sealers are common in the granite countertop industry and require re-application every 6 months to one year. Clean and seal granite in hotels with stone cleaner and non-silicon sealer. The best granite sealer for commercial spaces is fluorocarbon alphatic resin sealer. Unlike silicon-based sealers, these will not evaporate or go through any type of natural degradation. Fluorocarbon alphatic resin sealers are more expensive than lesser quality sealers, but you get what you pay for. Quality granite sealers, also known as impregnators, penetrate stone and seal below the surface. They are not topical sealers. The sealing substance is delivered inside the stone by natural absorption. Impregnator sealers consists of a solid resin (which seals the “pores” of the stone), and a “carrier” consisting of solvent or water which delivers the resin into the stone. Note: Calcareous stones such as marble, onyx, or limestone, cannot be protected from the damage caused by acidic cleaners or toiletries. Sealers are meant for stain protection not protection from chemical “etching”. Are your granite vanities protected? Natural stone and granite tops vary on how porous they are. Some granites never need sealer and should never be sealed. This goes for most black or very dark color granite countertops which are typically very dense and will neither stain nor absorb sealer. Other stones, especially light colors, may need several coats of sealer. A simple test with lemon juice can help you determine if your tops need sealer. In an inconspicuous spot on the countertop, place a few drops of lemon juice and watch the reaction. If dark spots appear quickly, the stone may be calcareous such as limestone or marble. It is reacting with the acid and could be problematic to protect with sealer. If the drops take a minute or so to be absorbed and show darker spots, they can be sealed and need to be sealed. If the lemon juice doesn’t get absorbed at all, your stone does not need to be sealed. To seal granite with high-quality alphatic resin sealer, simply spray on, let it absorb for a few minutes, and then wipe off. It should only take minutes to seal a bathroom top. For highly porous stones, you will need to repeat the process, waiting 24 hours between coats. But the benefit is well worth the time since protection will last for years. To clean and seal granite in hotels, start with degreasing. Degrease countertops and give them their final cleaning with denatured alcohol or acetone. For daily granite cleaning, see How To Properly Clean Granite. Denatured alcohol, though it evaporates quickly, does wonders for cleaning granite and cutting through film buildup on your counters. You’ll know if you have applied sealer to granite that doesn’t need it. The sealer won’t be absorbed and some will remain on the surface of the stone. “Ghost water stains” or “water rings” may appear, especially when dealing with dark color stones. In this case, it’s not the granite that’s stained. More likely, it’s actually the sealer that has created the look of a stain. Don’t seal granite counter tops that don’t need it. See How To Remove Stains From Granite. Granite care in hotels and commercial spaces extends beyond the bathroom and kitchen areas. Does stone furniture such as granite table tops need to be sealed? In public areas and hotel rooms, granite tables are especially susceptible to staining. It’s a good idea to test the granite and seal granite tables. As with stone countertops, dark stone is often more dense and doesn’t need sealing, but lighter color granites and stones are often more porous and will most likely need multiple coats of sealer. Limestone and marble tables should also be sealed to provide some protection. Seal a granite table just like you do a granite countertop. Questions on how to clean and seal granite in hotels? Contact Scott at Granite Care Pro.